This article is the brain child of an anonymous e-mail that was sent to me yesterday in response to my article talking about the issues that the new Orange County Auditor-Controller will face. If my calculations are correct, the new A-C will inherit an at least $14 million revenue shortfall. You can read the report here: Internal_Audit_Report_1250. 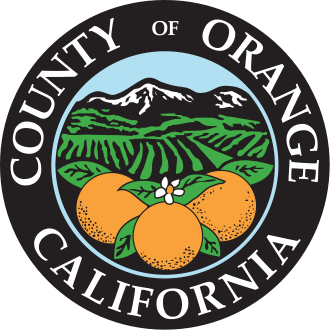 Tomorrow we can expect to see a newly appointed Orange County elected official in place with the Orange County Supervisors set to appoint a new Auditor-Controller after interviewing five applicants. I have talked to a few elected officials about the candidates since I know very little about the applicants in place and the consensus opinion is that either Jan Grimes or Eric Woolery will likely get the appointment. I am obviously a partisan Republican and would like to see a Republican appointed to the seat which would lead me to lean in the direction of Eric Woolery. Jan Grimes very well might strive to be a good governance type of Democrat, but in this she hasn’t much succeeded and the Dems have a very bad track record in County offices, with the only two in the last 20 years being Tom Daly and Bob Citron (need I say more). Republicans are not perfect either as I will point out that John Williams was a Republican (sigh) serving in the office of Orange County Public Administrator/Guardian. An internal audit report titled Audit Alert 1250 Auditor-Controller Opportunity to Clarify County Revenue Policy shows me that Jan Grimes, who currently runs the A-C office, has received a great deal of criticisms from Peter Hughes the director of the Orange County Internal Audit Department. I want to preface this by stating that I have read every page in the attachment sent to me and this is not corruption which we saw Renee Ramirez get accused of but shows a very frightening glimpse into problems with the way the office of Orange County Auditor Controller is currently being run. If I understand this report correctly, we really shouldn’t allow a Democrat to continue to be in charge. In addition to an almost $500,000 budget over-run so far this year in the Auditor-Controller’s office, there are also a lot of shortfalls that are being overlooked and not corrected or brought to the board’s attention by the ACO. Under Jan Grimes’ leadership, three departments named in this report were collectively short on revenue totaling $13.5 million at the half-year point this year. This is very concerning to taxpayers as we rely on the Auditor-Controller to ensure public monies are spent wisely. It looks like the Auditor-Controller’s office has been lax in their oversight duties and it costs the county money that could have gone to public safety, infrastructure or job creation, this is beyond a major problem. It is bad Governance and the BOS has a chance to fix this. 1st Observation: The Auditor-Controller is not documenting their limited reviews because they wanted to “avoid giving assurance that a more detailed review was completed.” What I think this means is that the BOS thinks certain areas are being audited, but the internal auditors are just doing a cursory look. This strikes me as a very odd and a somewhat deceptive approach since the current policy of the Board of Supervisors requires a documented audit. This leads me to my second observation. 2nd Observation: Since the current Board of Supervisors has requested an audit of revenue items and the Auditor-Controller is doing only a limited review there is a possibility of an expectation gap between what the Board thinks is being done and what the Auditor-Controller is actually doing. I hope that Ms. Grimes has effectively communicated that to the Board. 3rd Observation: It seems to me that the Board of Supervisors was cut out of a major political and policy decision again. This time, according to Peter Hughes, it is in regards to the fees charged by the Health Care Agency (HCA) by the Auditor-Controller and CEO. HCA made the policy decision for the BOS when they decided that the “political and economic environment was sensitive to raising county fees” so they did not inform the Board that the fee structure did not cover their costs. The Auditor-Controller with the CEO agreed that since HCA was not raising fees the Board did not need to know. My knowledge of county finances are limited but I do know if you don’t charge enough to cover your costs the taxpayers will be paying the difference. The problem here I see is the Board never got to make that choice, and now the county will be faced with more budget shortfalls. 4th Observation: The report also states the “limited reviews” for OC Public Works and OC Waste and Recycling were riddled with errors. One of the errors documented in Dr. Hughes’ audit report stated that the checklist indicated that an item was reviewed in the audit but it was actually missing from the financial report. According to my CPA, the staff performing these reviews where failing in their duty of professional care, he also contrasted that if he had performed work with errors like this he would probably be disciplined by the State Board of Accountancy. 5th Observation: I reviewed the website and org chart of the Auditor-Controller’s office to better understand what they are doing and how they approached their work. I was a little surprised to see that the satellite accounting operations of the Auditor-Controller performs the accounting work for the Health Care Agency, OC Public works and OC Waste and Recycling. According to their org chart, the Central Operations of the Auditor-Controller’s office reviews the countywide cost plan to maximize county revenues. So one branch of the Auditor-Controller’s office creates the revenue fees and the other reviews it. So the Auditor-Controller had two opportunities to get these revenue fees correct but it took the Internal Audit Department to find it? Looks to me like the new A-C is going to have his or her hands full! Good luck, and we hope that this gets straightened out, as the taxpayers deserve to have competent public servants. This entry was posted on April 15, 2013 at 8:42 AM	and is filed under Orange County Auditor-Controller. You can follow any responses to this entry through the RSS 2.0 feed. You can leave a response, or trackback from your own site. So it’s not just Grimes, now, but — not “any Democrat”? Is there a list somewhere of which Republicans whose failures I may legitimately impute to your entire party? I didn’t know much about Grimes prior to reading this article. I still don’t, because I don’t know much about Peter Hughes and the fairness with which his report was conducted. Was Grimes allowed to take the sorts of good government steps that might have been appropriate? What impediments were placed before her — and by whom? As for Citron and Daly: Citron was engaged in the sort of financial speculation that Republicans in DC are trying to protect — and if Republicans want to complain about Daly perhaps their political groups shouldn’t have spent a million dollars or so in the primary trying to ensure that he would run without de facto competition in the general. As for HCA’s belief that “the political and economic environment was sensitive to raising county fees”: (1) was this correct? and (2) which party was it that created such a situation?